I am considering the Skyhawk Limited Edition. There is one at my local store for a very good price. I like the looks and this one have great dial visibility. It was this one or ordering the strap version of the Blue Angels Skyhawk and I have 2 BA skyhawks already. I notice that the case is gun metal colored. Is this DLC coating or PVD? Does nybody have this model? How does the color hold up? At the store i also saw a all black Skyhawk. I assume this is DLC. The watches do not look the same color so it looks to be two different coatings. I want the limited edition one because it has a strap instead of the metal band(I am not a fan of metal bracelets) and I really did not want to get a 3rd blue angels Skyhawk for the strap. On a side note, does anybody have the new/current skyhawk models? How is it holding up? I am concerned with the bezel. It felt cheap and easy to move. I still would have ordered the strap BA version for two reasons: 1. The white/blue slide rule scales make for easier reading, at least for me; 2. The bracelet is nice and rugged enough, but way too heavy, I replaced mine with one of those elastic straps--much better. Not sure whether it’s PVD or DLC but I can see why you would want to know so why not contact Citizen and ask? I have the Blue Angels version and I am very very very happy with it!!! increase comfort or due to new manufacturing technology. This new Skyhawk has to many details to include in a small response as you probably seen it in person. and the black slide rule. Thanks for your replies. I decided to buy the Skyhawk Blue Angels on the leather strap despite owning other BA watches because I like the white ring on the watch. It makes it look less busy. I got it from Macys but they have to ship the watch out from the Vendor due to nobody having it in stock. I got the watch for about $248 with all discounts applied. I cannot wait to get it. I also purchased a Skyhawk Blue Angels on the leather strap recently. This was my second Citizen with the eco-drive. The first one worked well for about a year, but when I moved I put it in a box. When I opened the box a month later the watch stopped working and Citizen told me they can not repair the eco drive. I didn't know you had to keep it in the light. My fault, I guess. Now I decided to go for another Eco-Drive. This time I will keep it in direct sunlight. This watch I was able to wear it once and only once. The eco drive movement stopped again. The retail store would not replace it only offered to send it for repairs. But is was only worn for 4 hours! 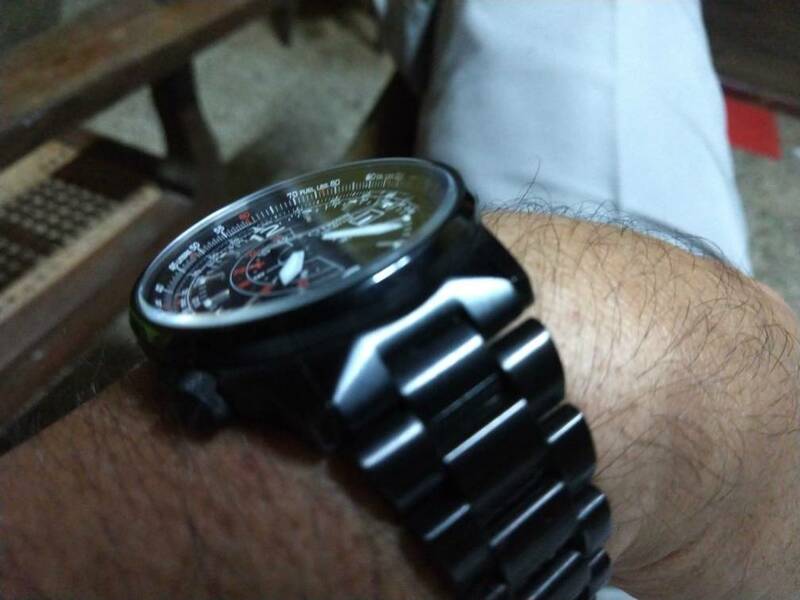 Citizen clearly has a major issue with the eco-drive system and the solar charging. They also have no means to repair it once it malfunctions. If I were you I would return the watch as fast and as soon as you can. If not I wish you luck. Who knows how long it will last. The first watch may be fixed with a new capcitor battery. Is the 2nd watch under warranty? How often does Citizen make Limited Edition Skyhawks or ones with Sapphire Crystal?